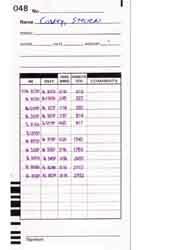 Compumatic XL1000 time cards, five packs of 100 cards. 500 total. In Stock.